While a watch can last for many years and even generations, like anything else, it does endure some wear and tear over time. 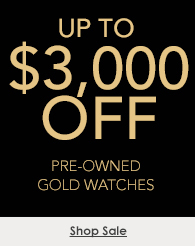 Tourneau’s watch Service and Repair experts have provided their professional advice and tips to help you keep your watch in the same excellent condition in which it was bought. Avoid exposure to any moisture. Simply wipe the watch with a dry soft cloth. Use a soft damp cloth to clean the head of the watch and then wipe off with a dry soft cloth. 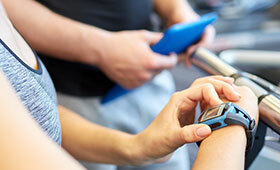 Metal bracelets can be cleaned by using mild soapy water and a soft toothbrush. In addition to an annual 5 Point Check-Up, a complete movement overhaul is recommended every three to five years to keep your watch in pristine condition. Wind your watch fully at the same time each day. Be careful not to force the crown. When it stops, or you feel resistance, stop winding. Forcing the crown can damage the setting mechanism. 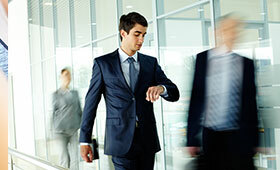 To power up an automatic timepiece, give the crown about 20 to 40 turns and put the watch on your wrist. If the watch has a screw-down crown, be sure to secure it after the watch has been wound and set to ensure the water- tight integrity of the watch. 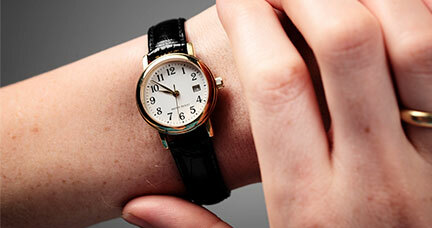 Avoid setting the date between 9 pm and 3 am as doing so can damage the movement's gears and pinions. Be sure to adjust the date outside of this time period. Not all watches are designed to be water resistant, and there are various degrees of water resistance. It is important to remember that water resistance is not a permanent condition, and it must be tested and renewed periodically. Gaskets and seals used to seal the watch deteriorate over time and will need to be replaced. Have your watch tested every 12 − 18 months for water resistance. Bring your watch to a Tourneau store for repair if there is ever condensation under the crystal or signs of oxidation on the dial. If your watch is designed for water activities, be sure the crown is pushed down or screwed in tightly before wearing it in water. While in a moist environment, do not operate or adjust the crown and/or push buttons as water can seep into the case. 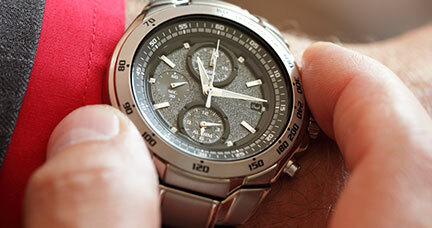 After contact with chlorinated or salt water, immediately clean the watch with fresh water and dry with a soft cloth. 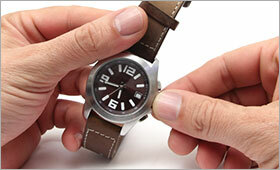 If the watch has a 'rotating bezel,' be sure to rotate the bezel while cleaning to dislodge any debris (sand or salt). 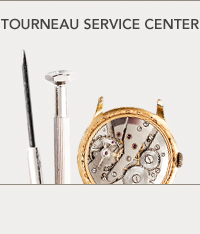 Bring your watch to a Tourneau service expert to have it quickly demagnetized. If the watch is severely magnetized, a complete maintenance of the movement may be necessary.